Used For: The herb is known to treat bacterial infections, prevent vomiting, reduce fevers, and relieve inflammations. 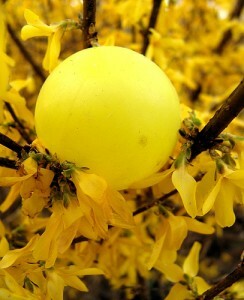 Forsythia is widely applied for influenza and common colds. It is additionally used for lymphatic node swelling, carbuncles, and toxic sores. The herb is beneficial for fevers, accompanied by delirium and thirst. The fruit is applied for a wide range of inflammatory diseases, like cancer (particularly, breast, throat, and lung cancer), furuncles and carbuncles, boils, influenza, fevers, sore throats, and colds. Preparation and Intake: The herb is commonly applied at a dose of 3-12 grams per day. Safety: The herb is not recommended to people suffering from weakness and stomach/spleen deficiency, as well as open sores, induced by yin deficiency.